Add all ingredients, with ice, to a Cocktail Shaker. Shake vigorously and strain into a Coupe Glass. You’ll turn somersaults over this flip! 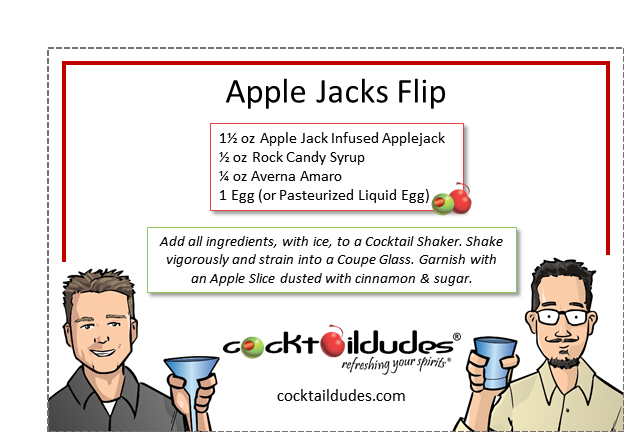 The Apple Jacks Flip is a delightful (and fun!) dessert cocktail. NO COW UDDERS WERE FONDLED TO BRING YOU THIS DRINK! Utilizing an egg to provide the richness one might typically expect from dairy, this cocktail gives you “creaminess” without the cream! It’s a Flip! 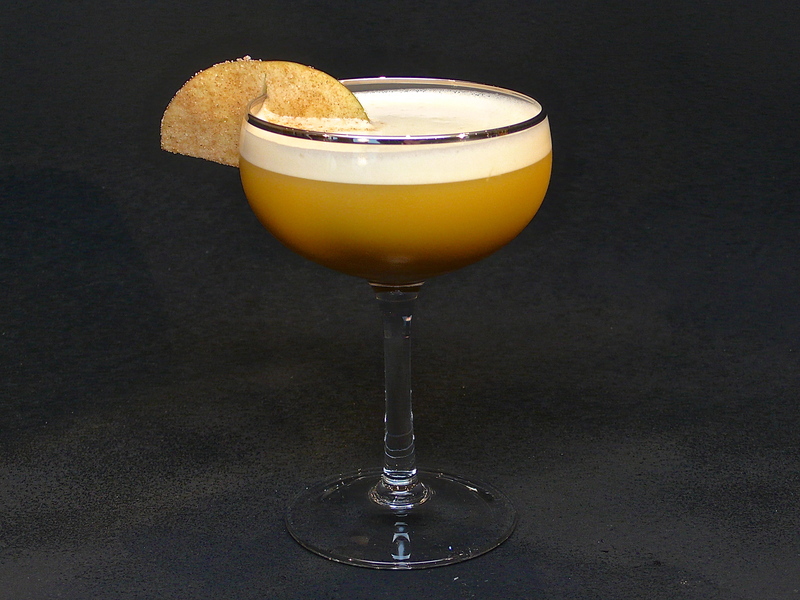 This drink uses our Apple Jacks Infused Applejack to provide sweet cinnamon-apple notes which compliment the subtle coffee and cocoa hints from of Averna and subtle vanilla undertones from the Rock Candy Syrup. You’ll do cart-wheels over this one, baby!